He has won more games that any coach in the football history of Waycross High School. He posted a 185-67-1 record at Waycross High School from 1972 through 1993 with the last two years at Ware County High School, after consolidation of the City and County Schools. His total high school record of 243-108-3 includes tenures at Baker of Columbus, and Dodge County. Under Coach Williams tutelage the canine crew won State titles, 1977 in Class AA, 1981 in Class AAA, six regional crowns – 1972-1977 – 81 -84-85 and 86 in addition to nine Sub-region championships. His career began in a winning environment having played for the legendary Wright Bazemore at Valdosta High School where he quarterbacked the Wildcats to State titles during his junior and senior years while winning 26 consecutive games. 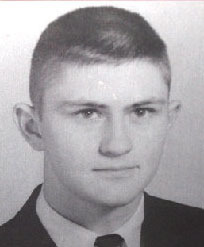 Dale was chosen All-State and high school All American as a high school senior. An all-around athlete, he earned 13 letters in football, basketball, baseball and tennis at Valdosta High School. 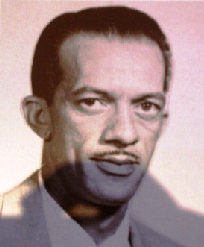 He attended the University of Georgia on scholarship and played three years for the late Wallace Butts and one for the Late Johnny Griffith. 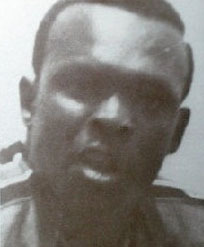 He was quarterback, defensive safety and linebacker and was chosen the outstanding defensive player in the 1961 Georgia-Florida game. Coach Williams married his high school sweetheart, Miss Carolyn Williams of Valdosta. They have a son, Todd, a former Waycross High School and University of Georgia quarterback and himself a member of the Waycross Ware County Sports Hall of Fame. They also have a daughter, Tracy. Dale continues to live in Waycross and is retired. He grew up in Waycross where he was an active boy scout. Growing up as a farm boy in an era when it was not uncommon for farm boy students to share the work load, it left little time for extra curricular activities. Consequently, he played football at Waycross High School only as a senior. During that year, 1943-44, he lettered in football and was a member of the basketball team that won the Eight District tournament. He was the starting fullback and a defensive back on the football team that won seven games but lost in the old South Georgia Football Association playoff to Albany High. He won all SGFA honors (equivalent to all state selection) and was honorable mention all-southern. After graduation from Waycross, he enrolled at Auburn University where he was first string fullback and starting defensive halfback in 1944, at the age of 16. He was the youngest member of the squad that year and again in 1945. After the 1945 season, he was inducted into the Army, where in 1946, he played with the Ft. Benning Doughboys, the service’s National Championship winner. In a Third Army track meet at Ft. Benning in 1947, he won the 220 yard dash and the shotput. 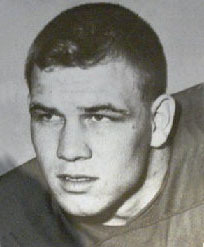 Upon completion of his military obligation, Nolan entered the University of Oklahoma where he was a fullback for Coach Bud Wilkerson’s Big Seven (now Big Twelve) entry and 1950 Sugar Bowl winners. He enjoyed a 30 year teaching and coaching career. 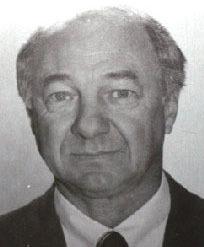 During 20 of those years, he coached high school teams and was coach of the State AAU Women’s basketball team in 1952. During his football coaching career in the 70’s, he served the programs at College Park, Headland and Russell in the Atlanta area. He then coached at Waycross with the distinction of being the only former Waycross player to return as its coach. 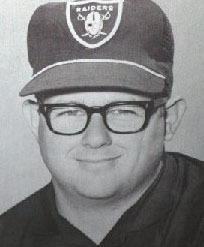 His career was not restricted to football, while in the Atlanta area, he became a baseball umpire and was one of those who worked two games of the National Service Championship series between Ft. Jackson and Ft. McPherson which featured, among others, Wilmer (Venegar Bend-Albany Cardinals) Mizell, Norm Cash, Marv Throneberry, Clete Boyer, Taylor (Waycross Bears) Phillips, Bobby Dews and Roy Cato. In recalling some of the highlights of his career, he took justifiable pride in having never fumbled the football. He fondly recalled a game in 1944 involving Auburn and Alabama at Legion Field, Birmingham when played all four backfield positions and scored twice in 57 minutes of playing time. However, he said his greatest honor was having Ware County High School’s 1983 Annual, its 25th, dedicated to him. He retired from Ware County High School. He was an outstanding guard on the 1962 and 1963 Waycross high School football teams and played one year at East Tennessee State University before an injury ended his playing career. He was a student football Assistant at FSU where former Waycrossan Eugene McDowell was the freshman coach. There he was assigned to researching and coaching the kicking game for the freshmen before being promoted to the varsity by Coach Bill Peterson as its kicking coach. From FSU, he went to the Oakland Raiders as their kicking coach where his number one pupil was George Blanda. Coach Johnny Rauch who had brought Engelberg to Oakland moved to the Buffalo Bills and carried “Bugsy” with him to Buffalo. He coached briefly in the Canadian Football League where Joe Thiesman, a Washington Redshins great, was the backup kicker. He served as director of player personnel for the Jacksonville Sharks and later for the Tamp Bay Bandits and played a vital role in putting the team together and the acquisition of the coach. From Tampa, he went to the Orlando Renegades of the USFL as their general manager. He served professional football teams as a scout and was an agent for several players. 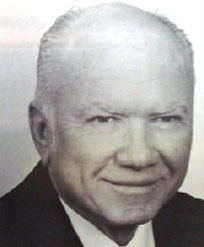 He was instrumental in developing the football program at the University of Central Florida where Eugene McDowell (formerly of Waycross ) became the head coach. Sports, in general, and football particularly, lost an avid supporter and contributor with “Bugsy’s” untimely demise in 1987. 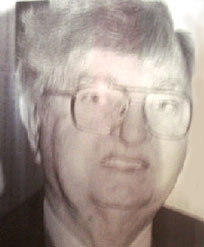 James Edward (ED) Dowling, Jr. He is a veteran high school teacher and coach dating back to 1971. He graduated from Florence, S.C.’s McClenagan High School in 1966 after which he earned a BS degree in Health, Physical Education and Recreation at Baptist College of South Carolina, (Charleston, S.C.) in 1970 and Master of Arts degree in HPER from Moorehead (Ky) State University in 1972. He was a stand out in baseball during high school and college. He served as a graduate assistant for baseball, soccer, track and field while at Mooreheard. He led the Pierce County boys to the runner up position in the sub-regional baseball tournament. He is listed in American Biographies of coaches and educators. He directed the Southwood Athletic program for 1971 through the 1981 season and coached at Pierce County High School from 1982 through 1986 and then to Waycross high School and Ware County High School after consolidation. He began serving as the Head Basketball Coach for Ware County Boys beginning in the 2008-2009 season. Ed has been an instructor or director at numerous Summer Athletic Camps and Clinic which includes Basketball Camps at Waycross and Ware County, Atlanta super star, Jacksonville University, Tampa Bay NASL Soccer Camps. He has conducted Soccer Camps and youth play for the Waycross YMCA and Ware Recreational Department and a Baseball Camp at the Ware County High. He is a former member of the Georgia Army National Guard from 1970-76. Ed is the son of Mr. and Mrs. J. E. Dowling, (Former Waycross-Ware County Sports Hall of Fame Director “Miss Jimmie Lee”) and he is married to the former Leea Evelyn Walker. He was a positive influence on many of Waycross’ young people. He was also a stabilizing influence on prep sports officiating in the area. After graduating from Savannah State College, he organized the District 2 Athletic Officials Association and became a familiar sight on South Georgia football fields. He served that organization as commissioner for many years. 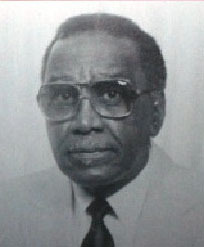 He was one of the founders, a charter member and a founding director of the Waycross-Ware County Sports Hall of Fame. He was a devoted director whose chair was seldom vacant until overtaken by failing health. A veteran of the U.S. Naval Service during World Ware II, after which he became a member of the U.S. Postal Service as a Waycross letter carrier until retirement. He was admired by all citizens for his work with young people and young athletes and much of his work was not generally known to the public. He was a member of the National Association of Retired Federal Employees, a charter and life member of Amvets Post 621. He was active in his church where he served as treasurer, steward and trustee. He was past president of the Waycross Men’s Criterion Club, a local and dedicated booster of our town, Center High and Waycross High Schools. Oscar was called home, where he will be an outstanding candidate for the Ultimate Hall of Fame, in December 1987. He was married to Mrs. Pheobe Bell Moody and had three sisters. He is probably the most successful prep College and amateur golfer ever from Waycross. He began his tourney career in 1954, at the age of 12, when he tied David Boyd of Jacksonville for the National Pee Wee Crown in Orlando with a record score. He then lost to Boyd in a playoff. In 1957, at age 15, he won the National Pee Wee Championship and tied for second in the Georgia AA Prep Championship contests. At age 16, he won the Georgia AA Prep Crown, the state Jaycee tile and his first Okefenokee Invitational Championship in a sudden death playoff with Bert Yancey, a FSU student. That year he won the Douglas Spring Tournament and the 15-16 age group of the Future Masters Tourney in Dothan. Gold Leaf Tournament that year. He was the winner of the Valdosta open in 1960, 61 and 73 where his record setting scores in 1961 still stands. He attended the University of Georgia on a golf grant-in-aid where he played on the Bulldog Golf Team. They won the SEC Title and advanced to the quarter finals in the 1960 NCAA Tournament before losing to Jack Nicklaus of Perdue. He finished second in the 1962 SEC title and was runner up for Medalist in the NCAA meet. He captained the 1963 Georgia team that won the SEC Championship and made his third consecutive cut for the NCAA meet. He qualified for the USGA Amateur tournament in 1964 and 1967. Layton teamed with University of Georgia teammate, David Boyd, to win the Valdosta 4-Ball tourneys in 1966-67. He won the Valdosta Jack Oliver meet in 1968, then teamed with his brother, “Mitt” to tie for second in the Okefenokee 4-Ball tournament but lost to Steve Melnyk and John Darr in a playoff. A runner up to Lyn Lott for the 1970 Okefenokee Invitational Championship and again teamed with “Mitt” to set a 61-50-121 record in winning the Okefenokee 4-Ball title in the 1970 Okefenokee 4-Ball. He and Jimmy Dowling of Valdosta won the 1970 Valdosta 4-Ball. He and “Mitt” won the 1971 Okefenokee 4-Ball. He won the 1972 Valdosta Club Crown and teamed with “Mitt” to win their fourth straight Okefenokee 4-Ball Championship. He and Valdosta’s Frank Eldridge won the Valdosta 4-Ball and “Mitt” won the open. He won his third Okefenokee Invitation in 1974 and tied Johnny Smith in 1975 but lost in a playoff. Boog is married to the former Leslie Cunningham of Jacksonville, Fla. and he has three daughters (Terry, Debbie and Lee) and three grandchildren. Boog and Leslie reside in Jacksonville, Fla. He lettered for some of Coach Jake Lankford’s best boys teams at Waresboro during the 1929 -1932 seasons. He captained the teams for three years, was named to the all district team for three straight years and all-state selection one year. He was voted most valuable player in the Ware County tournament one year. The Waresboro boys won district championships in 1931 and 1932. They were state all-classification tournament runners-up in 1932, losing by four points in the finals. After graduating from Waresboro, he played semi-pro basketball with the YMCA “Red Flashes” and declined a scholarship offer from the University of Georgia in favor of the ministry. He earned a degree from Holmes Theological Seminary and later a B.A. 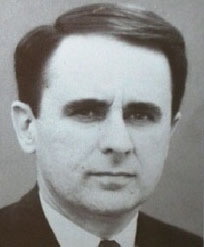 from Atlantic Christian College at Wilson, N.C. From 1932 through 1953, he pastured churches in North Carolina and served as a church conference officer for five years while serving as a board member for Emanuel College in Franklin, Georgia. During the period 1953-1960, he served as pastor of First Pentecostal (now Bible Heritage) Church in Waycross, while teaching and coaching at Wacona High School and Ware County High School. From 1960-1971, he pastured churches and taught school in Jacksonville.